Olivia Staverman, Class of 2018, is preparing for her upcoming year as a missionary with NET Ministries. She recently spoke at masses at her home parish, St. Henry, about the work she will be doing and to raise money to help her on her journey. 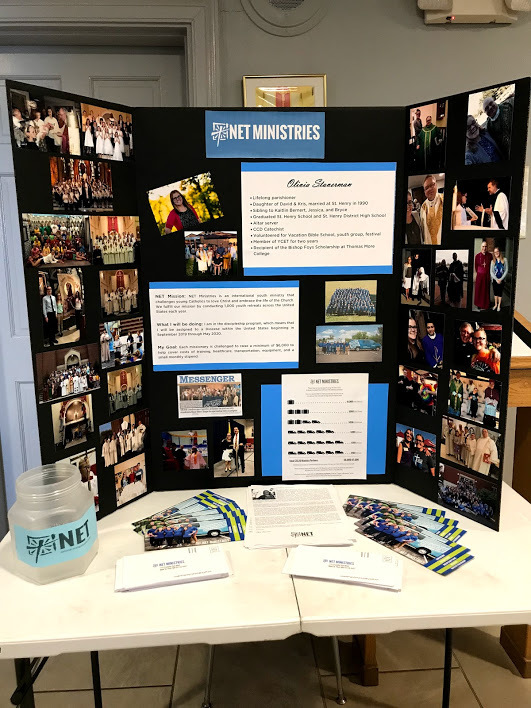 NET Ministries (National Evangelization Team) shares the Gospel with youth from 6th-12th grades around the country through retreats, parish, and school ministry. NET is headquartered in West St. Paul, Minnesota, and is one of the largest and most successful Catholic youth ministry program in the United States. Olivia is currently a freshman at Thomas More University majoring in theology and philosophy. In August 2019, she will join 175 other missionaries for five weeks of training in West. St. Paul taking only one suitcase and one backpack. After her training, she will be assigned to a parish and school somewhere in the United States for nine months. 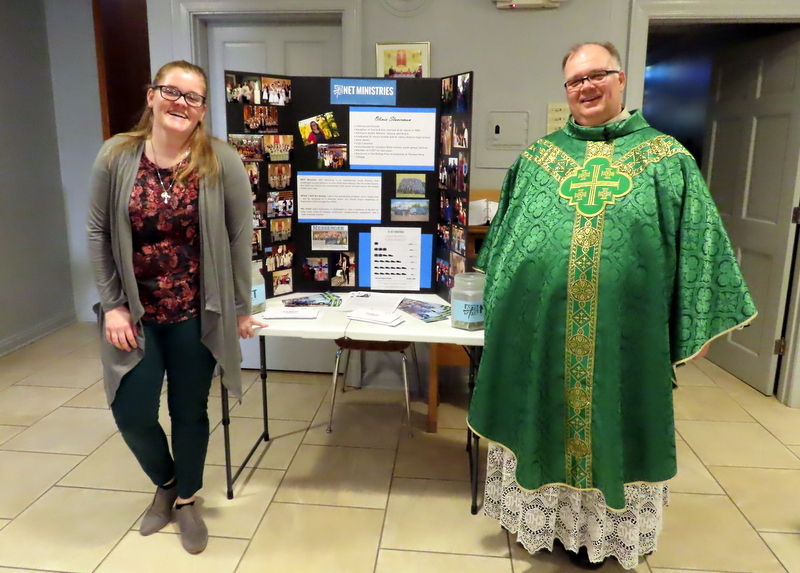 The funds she raises through the parish and other donors will go toward the $6,000-$7,000 each missionary must raise to help support their trip. To learn more about NET Ministries, visit netusa.org. To support Olivia directly, please be sure to put Olivia Staverman in the team member box. Should you choose to support Olivia, thank you for your generosity. Best of luck, Olivia. You will be in our prayers.